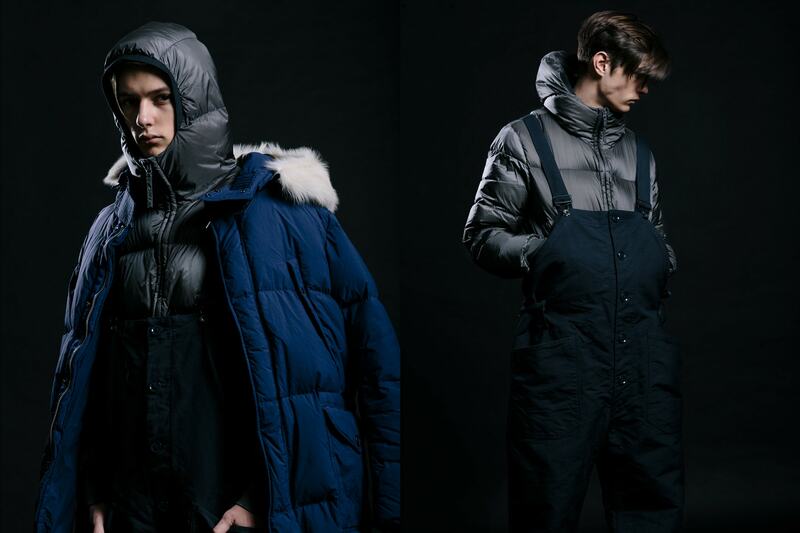 In our latest Product Focus, we feature a curated selection of rugged winter garments and accessories. 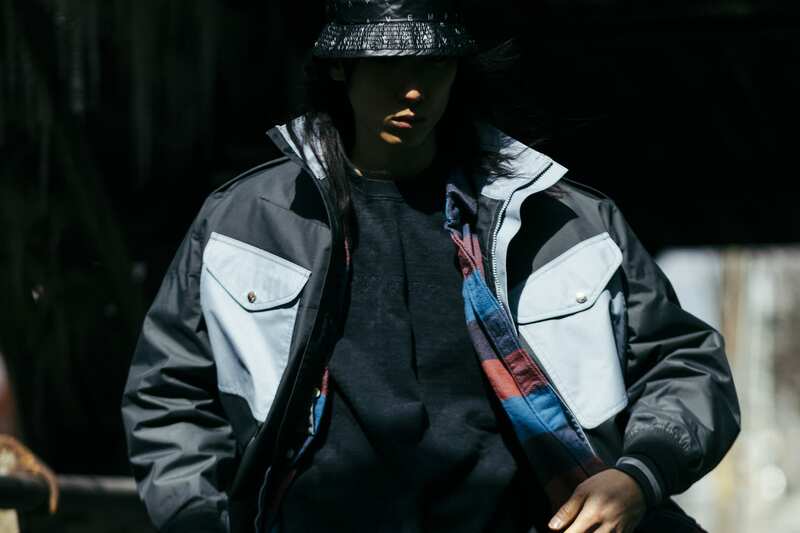 With a focus on cold weather performance and protection, we highlight items by Stone Island, Ten c, Engineered Garments, and TAKAHIROMIYASHITA The SoloIst. 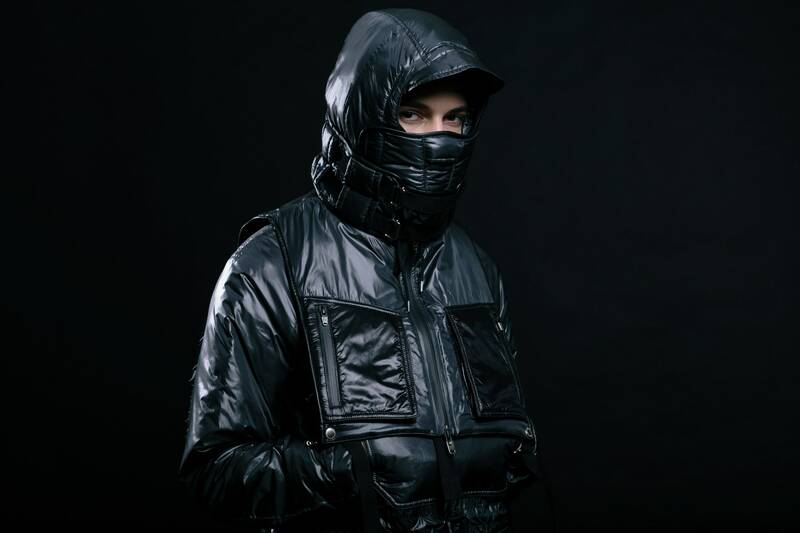 These garments utilize both modern and traditional fabrics and technologies including down insulation, garment dyed nylons, durable cotton twill, and lightweight Climashield APEX®. 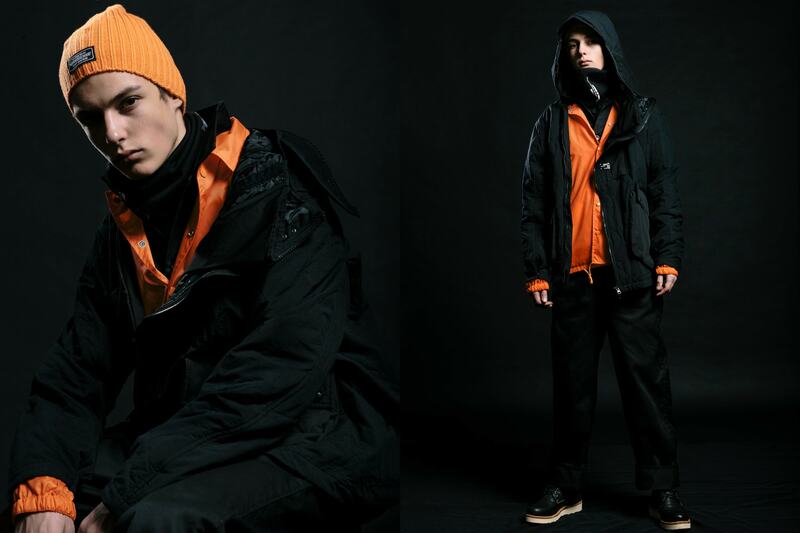 Deck parka in water-resistant nylon. 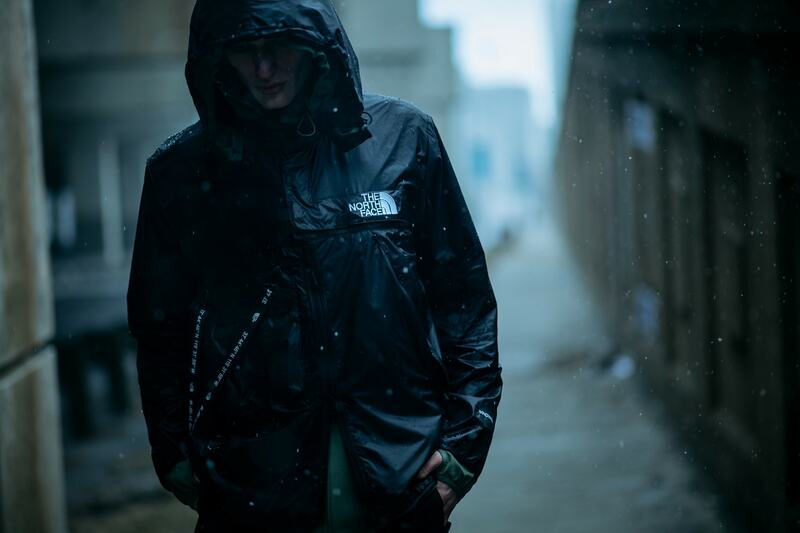 Modified US NAVY wet weather parka. Quilted polyester lining. Offset dual zip closure. Front placket with hasp fastening. Snap button cuff cinching. Two uneven snap flap patch pockets. 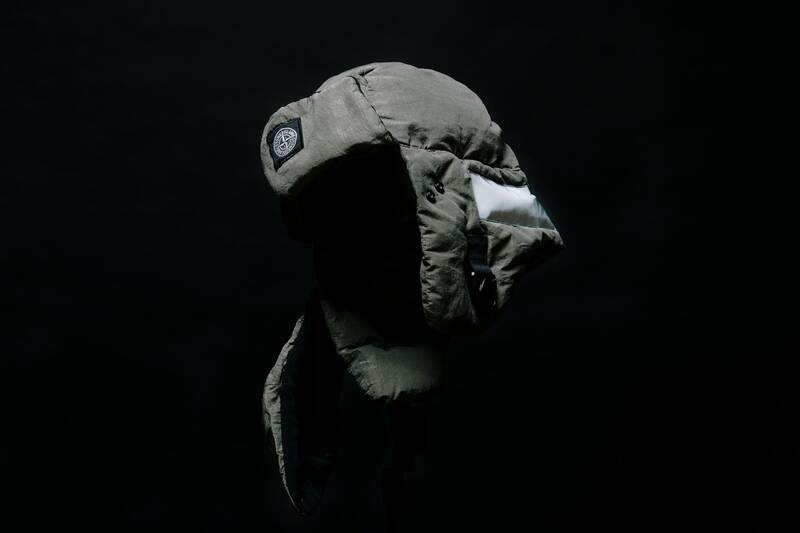 Storm hood with detachable face guard and adjustable visor. Made in Japan. 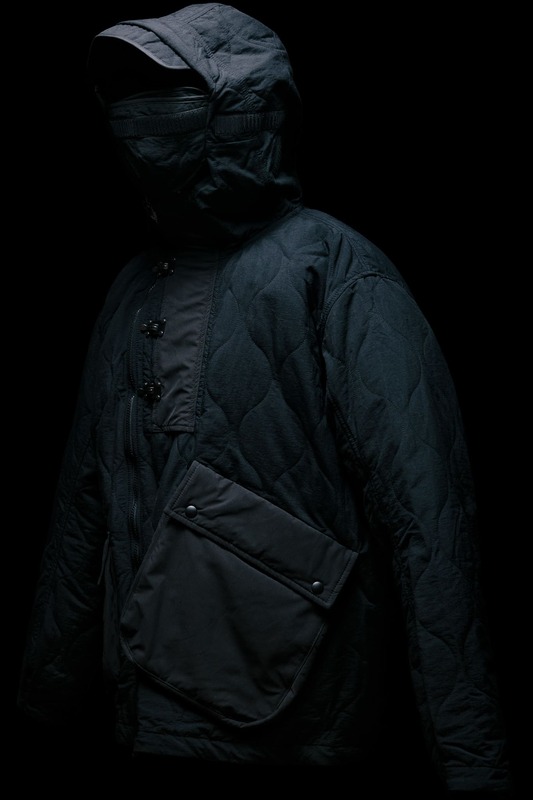 Anorak made of stretch cotton velvet with parts in Lamy nylon flocked inside. 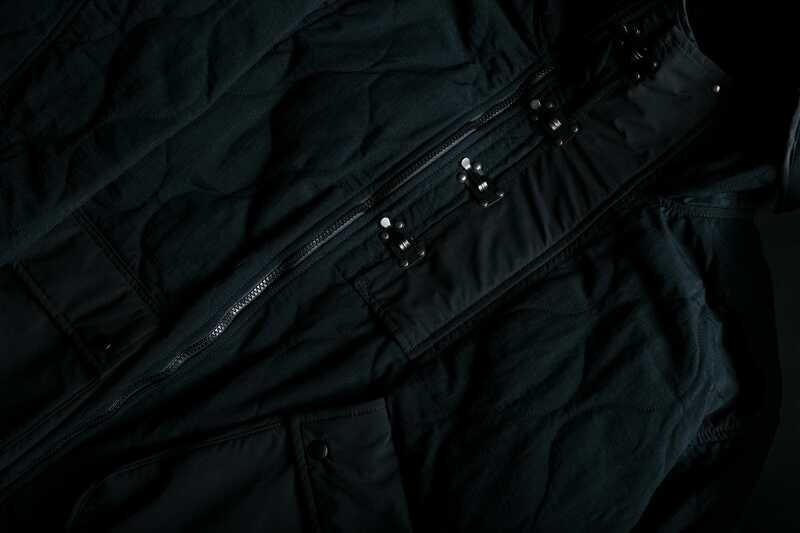 The finished piece is padded with premium down, specifically treated to bear the garment dyeing procedure. An elaborate double dye procedure provides different color tones and intensities to the finished garment. The addition of a special agent to the dye formula makes the piece anti-drop. Stand up collar with two diagonal zipper fastenings. Large pocket with horizontal double slider zipper fastening. Elasticized band at cuffs. Ribbed jersey bottom hem. Cap made in Cotton Metal, a fabric made with an ultra-twisted cotton warp woven with a very fine beige polyester yarn. Padded with an insulating wadding substrate. Through garment dyeing, the fabric achieves a distinct iridescent colour. The addition of a special agent to the dye formula makes the piece anti-drop. The fabric is resin coated on the inner side to achieve a mild wind and water resistance. 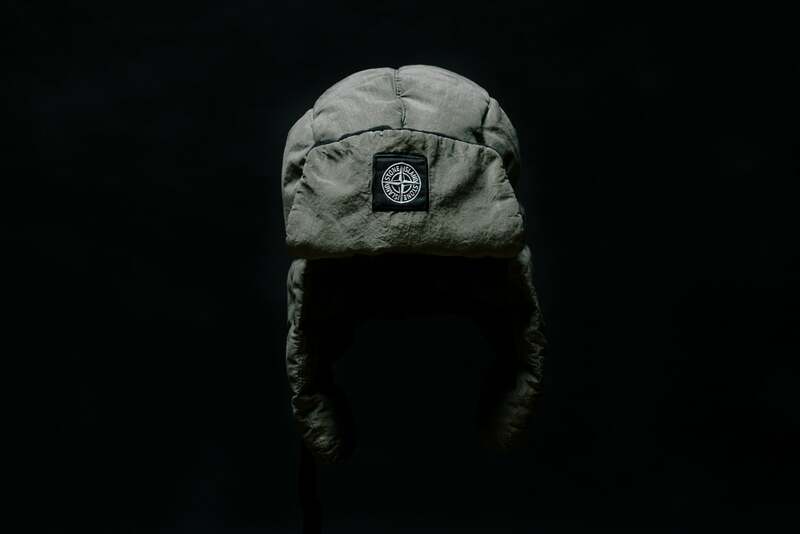 Stone Island Compass patch logo applied on the front flap. Neck and ear flaps closed by buckle and adjustable strap. Reflective tape applied on back. Flap below to protect mouth and throat which is also padded and attaches to the cap with snaps. 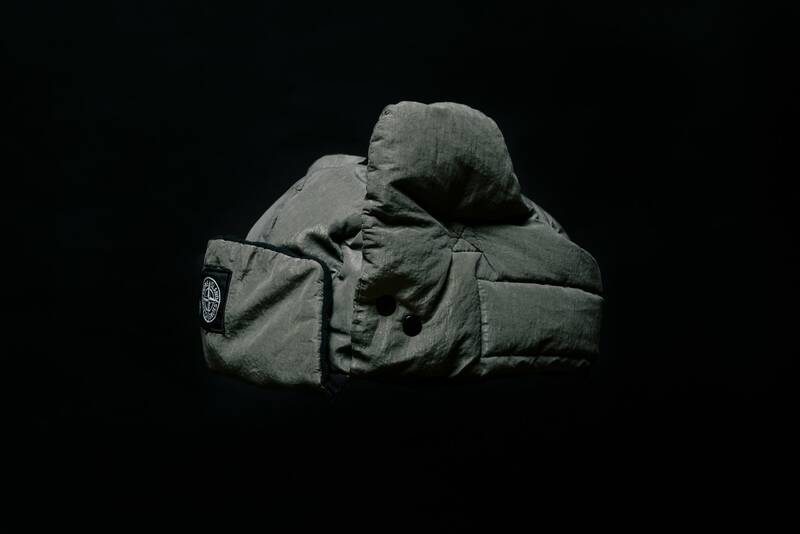 Hooded jacket in lightweight Italian nylon with premium white goose down fill insulation. Baffled construction. Lightweight. Can be worn beneath a shell as a midlayer or on its own. Hand pockets with elastic trim. Insulated hood with elasticated band trim. High cut collar provides extra protection. Interior pocket. Ribbed cuffs and hem. Made in Italy. 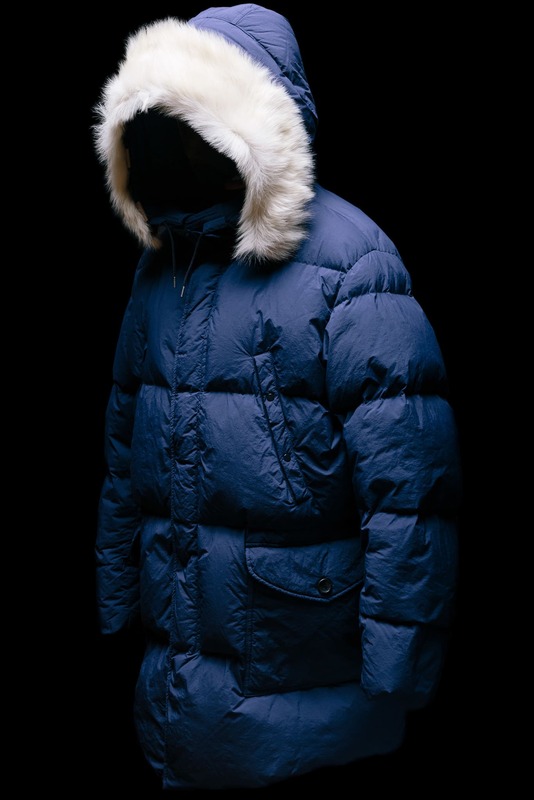 Hooded jacket in garment dyed nylon with premium white goose down fill insulation. Baffled construction. Three quarter length with zip front closure and snap storm flap. Large patch pockets with button flap closure. Two diagonal press stud chest pockets. 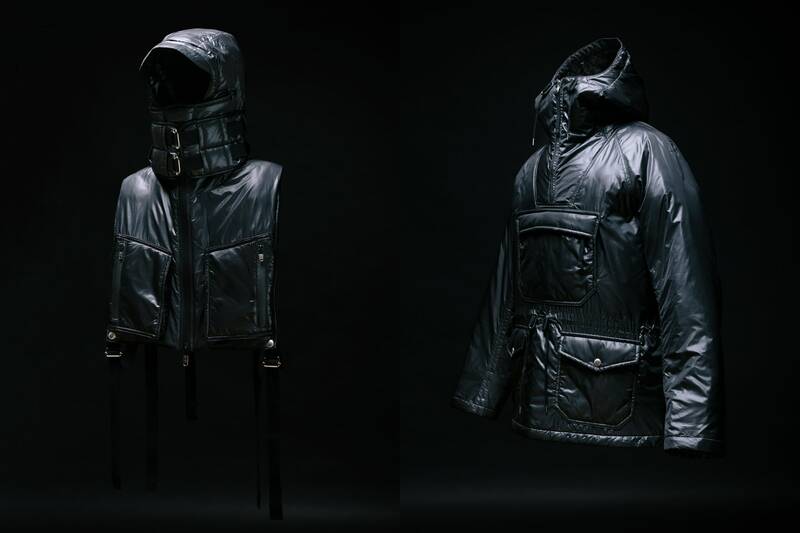 Insulated hood with detachable ram fur trim. High cut collar with adjustable snap and belt provides full protection. Interior pocket. Elasticated band cuffs. Drawstring adjustable waist. Single interior pocket. Buttons on interior for use with ten c modular liners. Made in Italy. 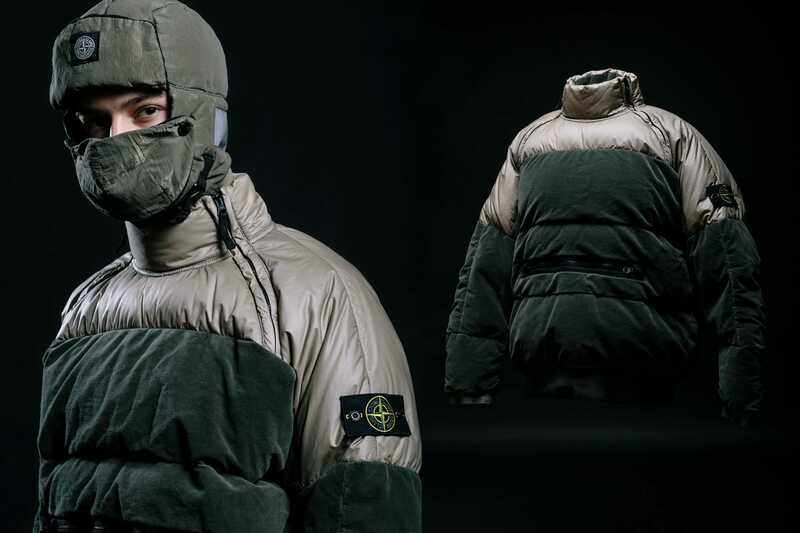 Military-inspired hood/vest in high-lustre nylon. 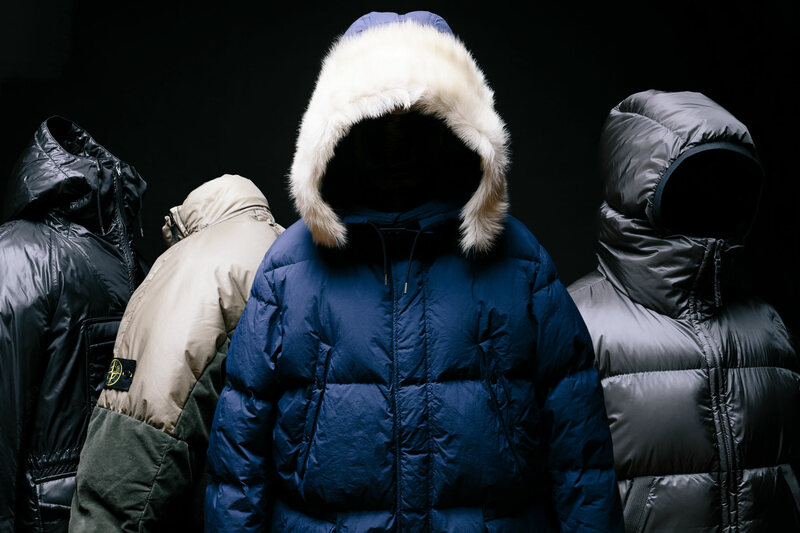 Quilted Climashield® APEX insualtion offers lightweight, windproof, breathable warmth. 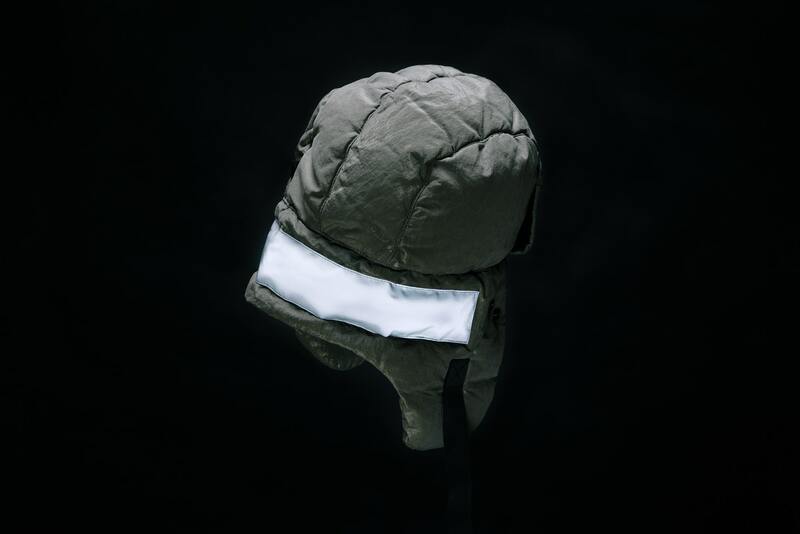 Storm hood with additional Velcro® face guard. Adjustable nylon tape neck gaiter. 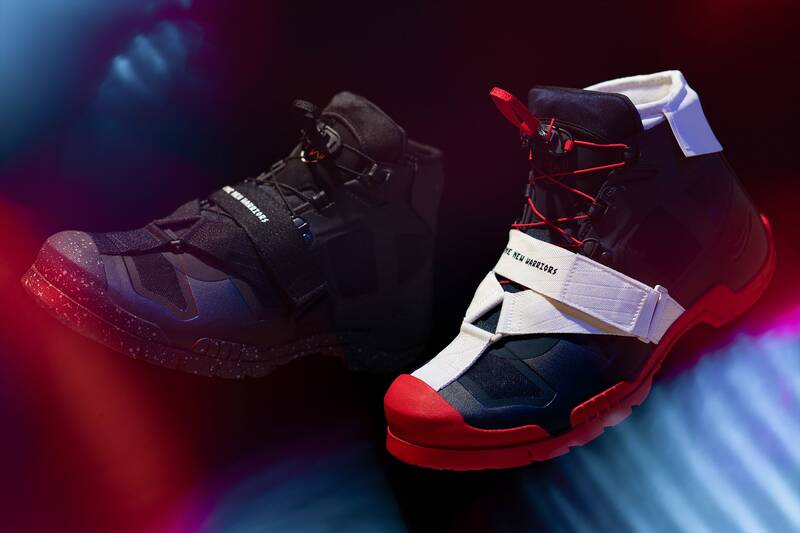 Dual zip closure. Two vertical zip pockets with side hand entry. Lambskin piping throughout. Adjustable arm and chest straps with easy entry snaps. Made in Japan. Pullover anorak jacket in high-lustre nylon. 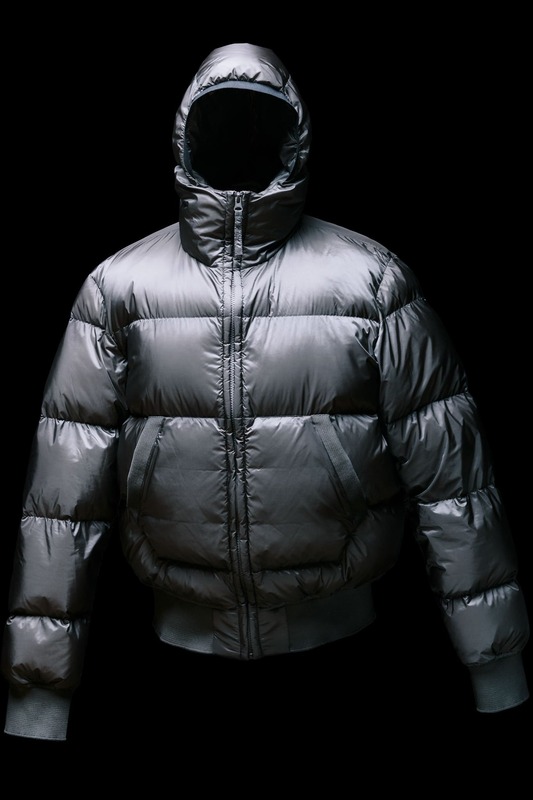 Quilted Climashield® APEX insulation offers lightweight, windproof, breathable warmth. Half zip placket with fabric zipper pull. Handwarmer pocket with top zip entry. Two flap patch pockets at waist. Drawstring waist cinching. Inner elastic cuffs. Drawstring hood. Made in Japan.